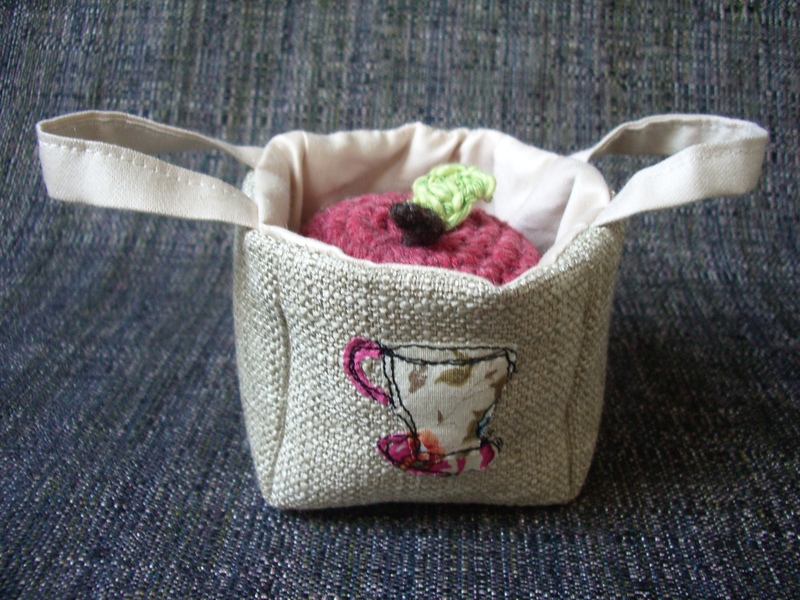 I’ve been spending some time recently trying out a bit more freemotion machine embroidery, it’s very absorbing. I’ve found that the double-sided iron on interface really helps alot – it means that you don’t have to contend with the fabric layers slipping. I’m quite enjoying practicing my machine writing too. 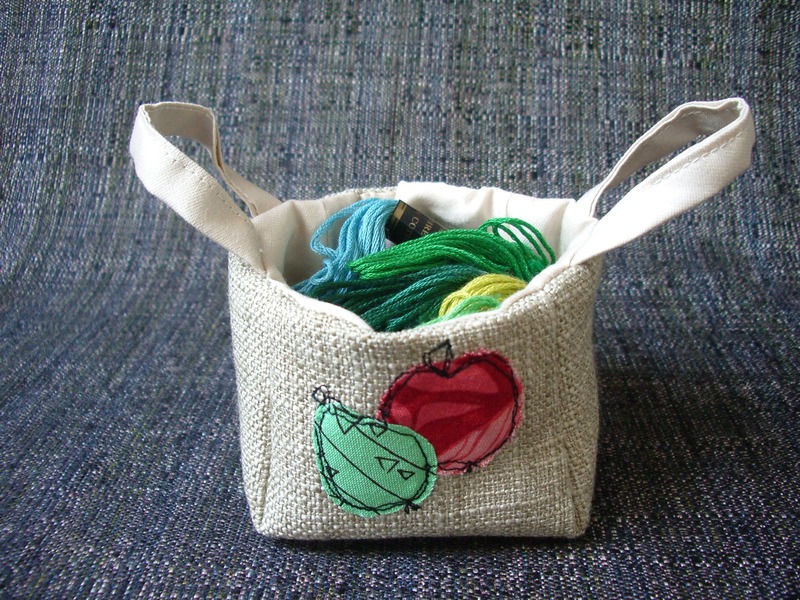 I bought a book a little while ago that has lots of useful tips on applique and freemotion embroidery along with some really lovely projects too – definitely worth investing in a copy if you’re just starting out with this kind of sewing. 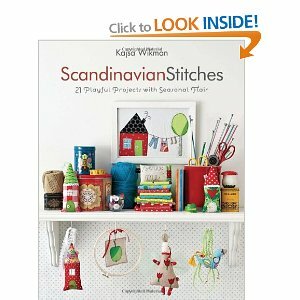 It’s called Scandinavian Stitches by Kajsa Wikman. I thought I’d try a little fabric portrait of my favourite sock gardener, Alan Pitchfork. 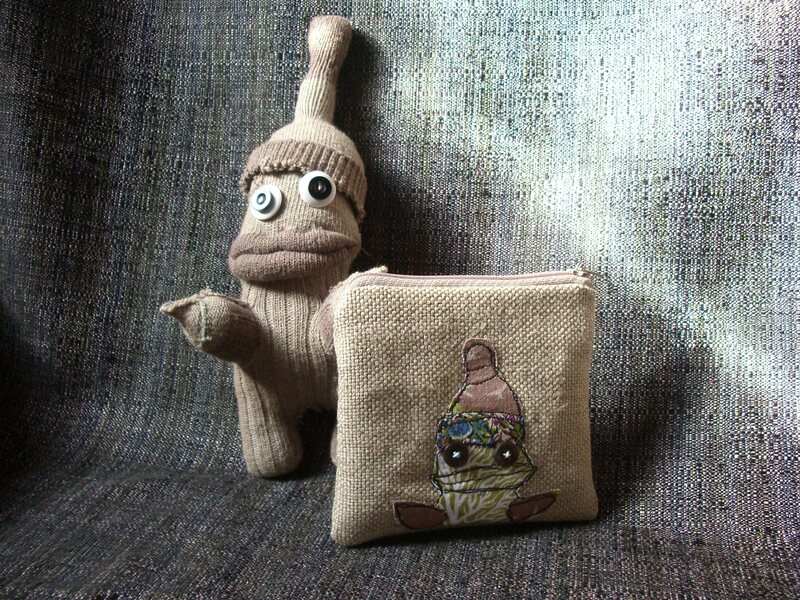 Here he is with his very own ‘Alan’ purse! 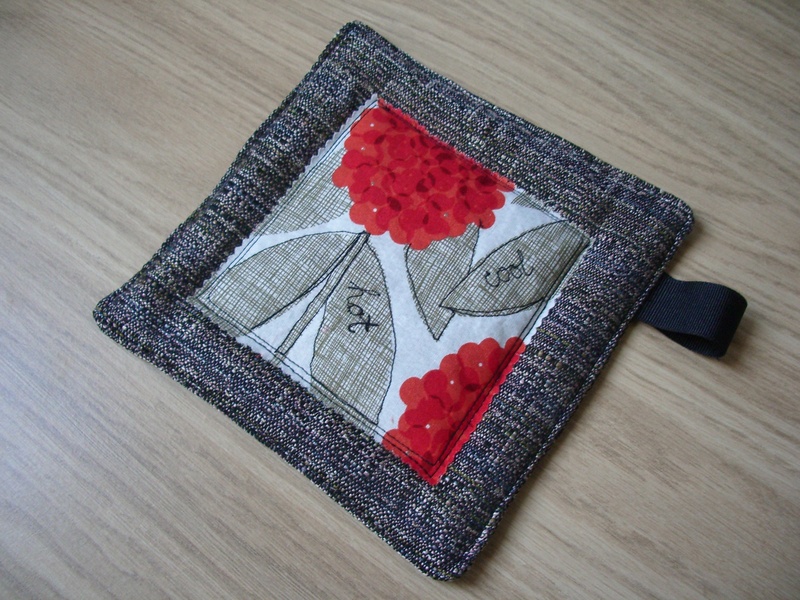 I think I might make some of the padded mats for myself – maybe in coaster sizes – I could do with replacing my current ones, and these were very easy to make – I used the method from the Scandinavian Stitches book. 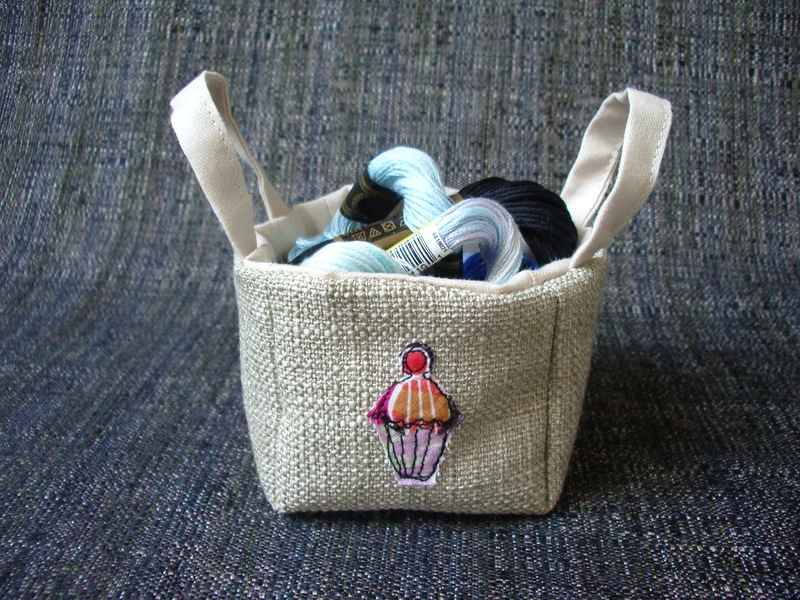 The fabrics for the images were from a mixed pack of 5″ squares from Stitch Me Lane on Folksy – she has lots of gorgeous stuff to choose from.